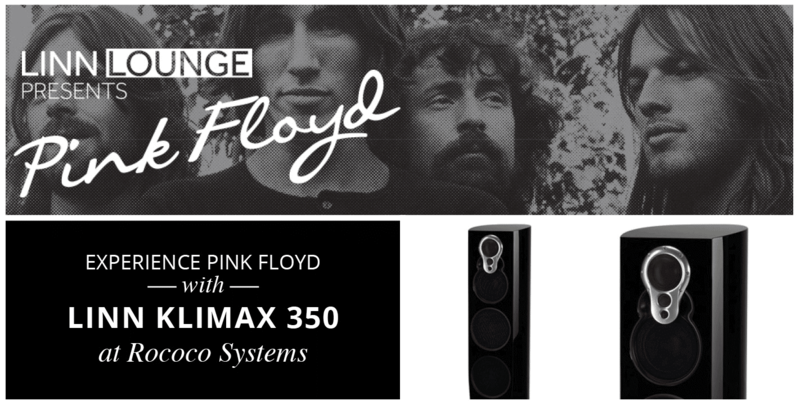 Join us for Linn Lounge presents Pink Floyd and discover one of the world’s most infamous rock bands as you’ve never heard them before: on the new Linn Klimax 350 loudspeaker featuring our new Katalyst DAC Architecture. Guests will get the exciting opportunity to experience the mind-blowing clarity and quality of the most advanced Linn speakers to date. Designed to eliminate loss between you and the artist, hear how Katalyst allows you to gain a deeper insight into Pink Floyd’s strangely psychedelic and conceptual style, and discover hidden delights in their mind-bending mix of science fiction and social commentary. This one-off evening allows visitors to hear the iconic music in a way that it has not been heard before, whilst learning more about the Linn products. We will have a friendly team of Linn specialists on hand to speak to you in depth regarding the workings, logistics and prices of all the products. We have been working with Linn for over 30 years, and have gained an expert knowledge of the brand. Rococo Designs & Systems offers professional installation services, upgrades and repairs to ensure that you truly make the most out of your amazing Linn Hi-Fi systems. Linn Lounge presents Pink Floyd, Thursday 27th April 2017, 7:00pm Rococo Systems & Design, Essex CM5 0LU.